Vitex rotundifolia was intentionally introduced for horticultural use. It has demonstrated a very high invasive potential in coastal habitats along the southeastern United States, where it is disrupting native coastal ecosystems. It is native to coastal habitats in the western Pacific from Korea and Japan southward throughout tropical southeastern Asia, as well as northern Australia, Fiji, New Caledonia, and the Hawaiian Islands. It infests numerous locations along the coasts of South Carolina and North Carolina, with more sparse infestations in many states along the eastern seaboard. 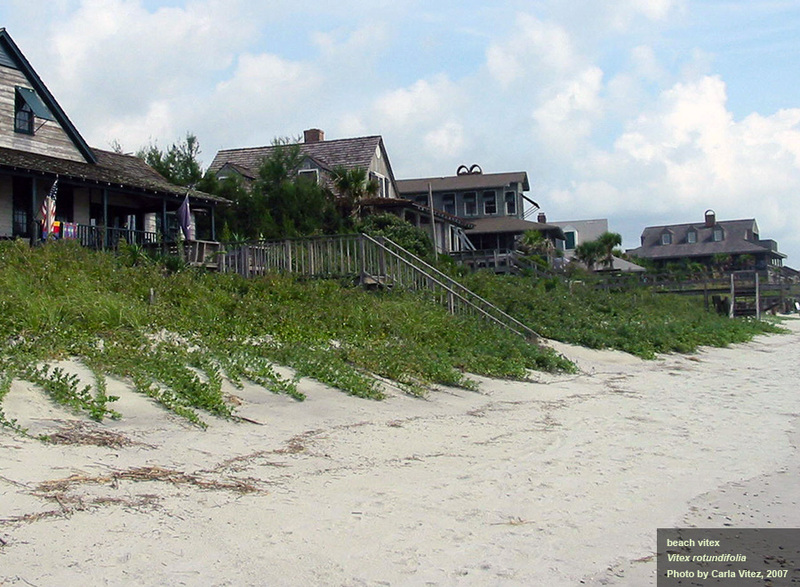 Many local ordinances have banned beach vitex. Vitex rotundifolia began to show its invasive potential in the United States only 10 years after it became available in the horticultural trade. This species has a very rapid growth rate and a short generation time, reproduces sexually and asexually, and is readily dispersed by water. Although herbicide treatments are effective, stem fragments can readily form new plants. 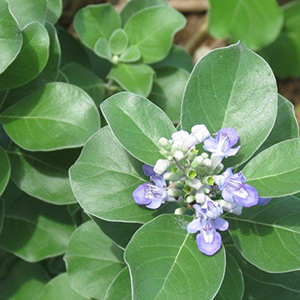 High drought and salt tolerance make beach vitex a strong competitor. Vitex rotundifolia outcompetes native strand and dune species, including Federal Threatened and Endangered plant species. It significantly reduces light levels underneath its canopy and forms dense mats that affect native species. It also restricts nesting by endangered sea turtles. 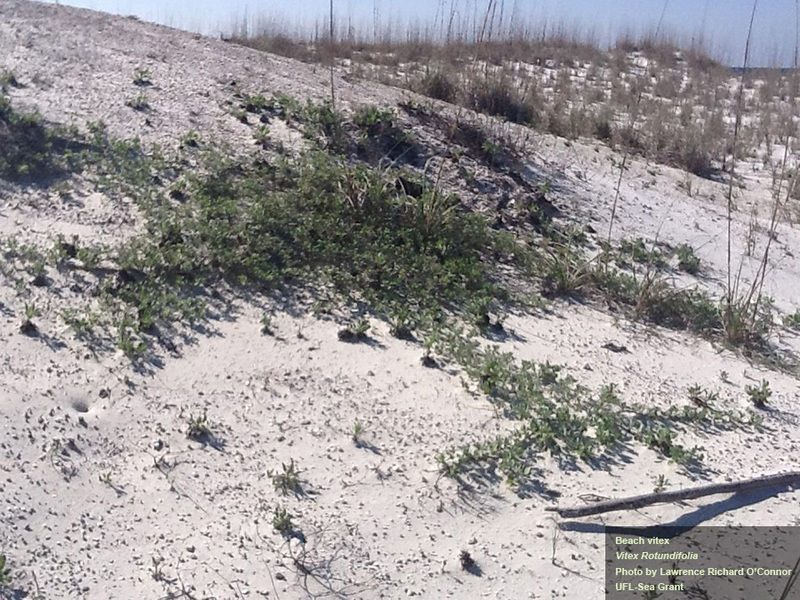 Although it was initially promoted for dune stabilization, beach vitex is actually less effective at stabilizing dunes than native dune grasses that have more fibrous root systems. This information was derived from the Weed Risk Assessment for Vitex rotundifolia L. f. (Lamiaceae) – Beach vitex [Version 2; 4 June 2013] produced by the Plant Epidemiology and Risk Analysis Laboratory (PERAL) and published by the USDA Plant Protection and Quarantine, Animal and Plant Health Inspection Service. Please view the full document for complete information and references. 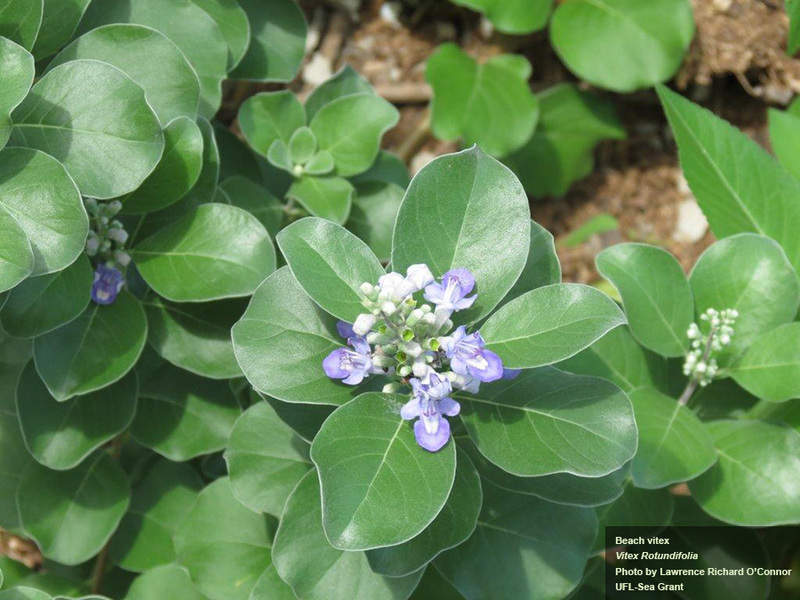 Beach Vitex (Vitex rotundifolia): An Invasive Coastal Species by Cousins MM, Briggs J., Gresham C., Whetstone J., Whitwell T. Invasive Plant Science and Management 3(3):340-345. 2010. 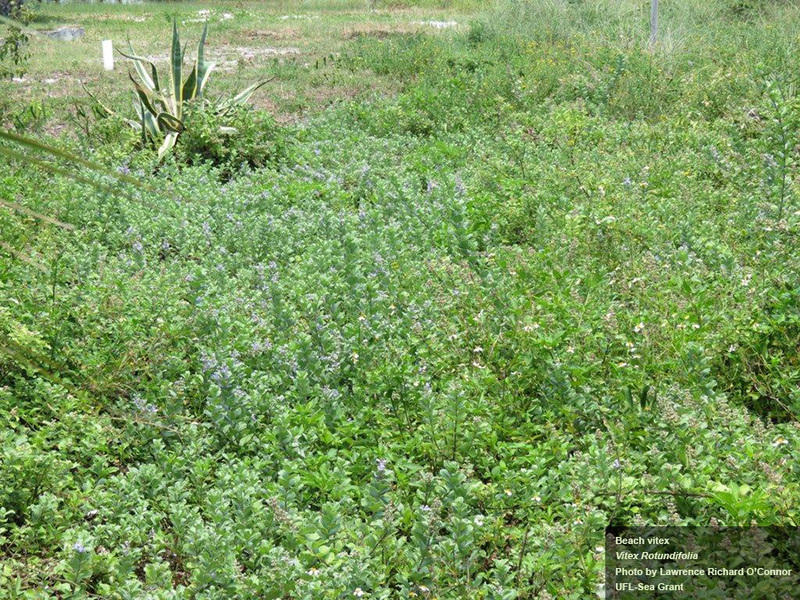 Reestablishment Potential of Beach Vitex (Vitex rotundifolia) After Removal and Control Efforts by Cousins MM., Briggs J., Whitwell T., Gresham C., Whetstone J. Invasive Plant Science And Management 3(3):327-333. 2010.